These bags are great for mailing of invoices, imp papers, cheques, DVD’s, CD's, brochures, samples, garments, online shopping, leaflets, etc. They are manufactured with flap, which has a hot melt pressure sensitive adhesive strip for easy & permanent closure. 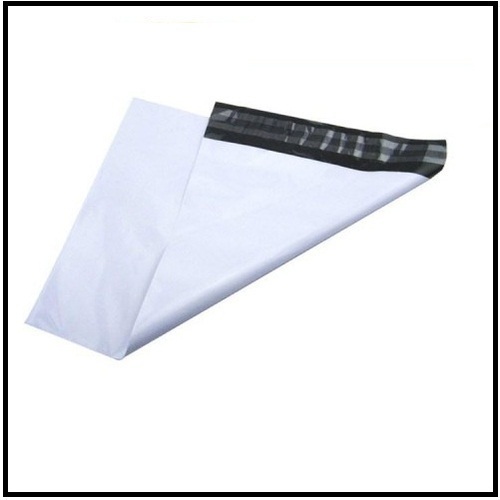 Once sealed properly, it cannot be opened has to be torn..
· They are manufactured with flap, which has a hot melt pressure sensitive adhesive strip for easy & permanent closure. With our expertise in this domain, we, “Solpack Systems”, established in year 2007 are counted among the distinguished organizations engaged in manufacturing, supplying, retailing, trading, exporting & service providing. In order to fulfill the diversified requirements of the patrons, we offer these machines in various specifications as well as in custom-built range. While manufacturing these machines, our professionals strictly follow the established norms and standards of the industry. Stringently tested before the final dispatch to the clients, these machines are applauded for their excellent performance, least maintenance, dimensional accuracy and longer life span. Owing to our client-centric policies, we assure to offer superior quality products to the patrons at reasonable prices. Along with this, our professionals stay in constant touch with the patrons, so as to understand their needs and offer them products accordingly. We also offer high quality after sales services to the customers, in order to helps them in having hassle-free functioning. All our products are safely delivered to the clients destination with in the stipulated time period. Further, to ease the process to financial transactions, we accept payment through various easy modes like cash, cheque, credit card and demand draft. All the above stated factors have enabled us to garner huge client base across the markets of China, Korea, Taiwan and USA.